On 2 November 2018, the UK Competition and Markets Authority (CMA) announced that it had issued a provisional infringement decision, to a price comparison website regarding clauses in certain of its contracts with home insurance providers. The CMA has objected to the use of “most favoured nation” (MFN) clauses which prohibit home insurers from offering lower pricing on other channels, including rival platforms. The CMA considers that the MFN clauses are preventing rival sites and other channels from competing with the price comparison website by offering lower prices to win business from home insurance providers and, as a result, insurers are likely to be paying higher commission rates which they are passing on to customers. The CMA notes that 60% of new home insurance policies in the UK are purchased on price comparison websites and, in its Digital Comparison Tools market study concluded in September 2017, the CMA found that consumers typically multi-home between different price comparison websites when shopping for products such as home insurance. Restrictions on competition between platforms can therefore inhibit consumers’ ability to get better deals for home insurance products, resulting in higher premiums. 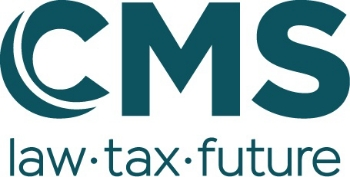 The clauses the CMA has objected to are “wide” MFNs, i.e. restrictions on the offer of better terms on the provider’s direct sales channels (e.g. the insurer’s website) as well as rival websites. The CMA has previously distinguished these from narrow MFNs, which restrict the offer of better terms on direct sales channels only. These can be more easily justified by arguments based on preventing free riding and the need to protect the platform’s value. The CMA has historically taken issue with wide MFNs rather than narrow MFNs, and this provisional decision is consistent with that view. The CMA did however warn in its final report on the Digital Comparison Tools market study in September 2017 that, in certain circumstances, narrow MFNs can have the same effect as wide MFNs and parties need to be cautious when using such clauses. It was at the conclusion of its market study on Digital Comparison Tools that the CMA launched this investigation, using its powers under the Competition Act 1998. The market study provided it with an opportunity to scrutinise common industry practices before deciding to launch an investigation – this is a well trodden path for the CMA to identify cases for investigation. The parties will now have an opportunity to respond to the provisional decision and the CMA’s final decision is unlikely to be issued before early summer 2019.